One of the most important aspects of putting a home on the market for sale is getting the price right. 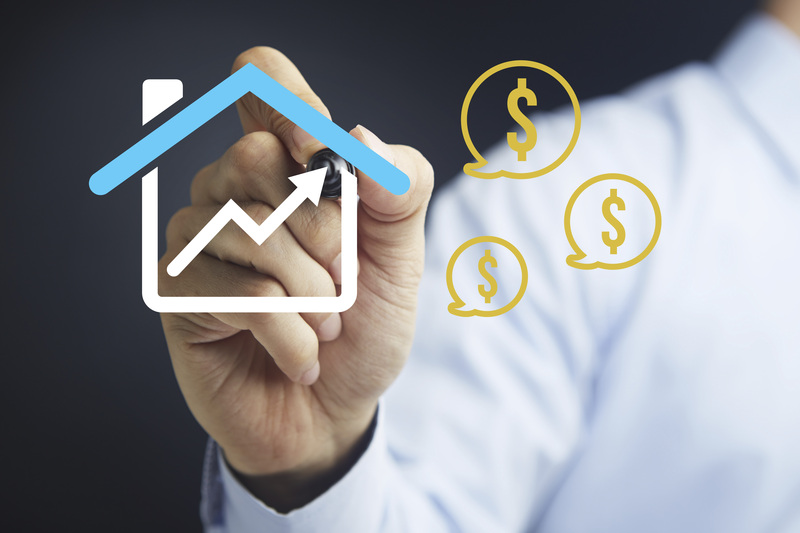 Price a home too high and no amount of marketing will overcome that issue. The lack of feedback due to the lack of showings may also indicate a problem with the pricing of the home that the homeowner needs to address quickly with their real estate agent or on their own if selling For Sale By Owner (FSBO). Many homebuyers and their agents do not want to be rude when providing feedback and may instead use code words or phrases to indicate the price may be too high. Code words for high price include comments about the condition of the home (needs paint, old carpet), location concerns (not the right location for us), or other comments. While one off comments about condition or location may not indicate an issue repeated comments from different buyers should be taken into account. Feedback about the condition of a home could also be addressed appropriately with a price reduction if the homeowner does not want to work on a particular needed updats. For instance if buyer feedback indicates the need for updates in a home or the need for refreshed paint or flooring, the homeowner could very well take this into account and install new carpeting or have the house painted but may not be as willing to spend a lot of money to update a kitchen or bathroom. Whereas the paint and flooring can be taken care without large sums of money, remodeling rooms on the other hand not only needs a large budget but also will need quite a bit of time which could interfere with the selling of the home. Instead a better option might be to reduce the price of the home to account for the need of the updates so that way the buyer of the home feels at the price they are paying they can take care of the updates in their own time. While some feedback surveys have direct questions that ask is the home’s price “too high”, “just right” or “too low” many buyers or agents may be hesitant may skip that question all together or answer a middle of the road response of “just right”. But what does the other feedback say? The homeowner needs to take the comments in mind along with consideration of how other homes that are similarly priced are presented. Failure to reduce the homes price when many of the buyers who come through is saying one way or another the home is overpriced means the chances of the home selling will be low. The buyer and agent feedback can also tell quite a bit about the marketing and presentation of the home. For instance if the feedback states the home appears bigger in pictures than it does in person may indicate the photography done of the home was not as accurate as it could be. Either the homeowner or their agent was using very wide-angle camera lenses to capture image or they may have been editing the pictures using software to make things look bigger than what they really are. No buyer wants to go to a home and see much smaller rooms than what was shown via pictures on the internet. Most buyers would be disappointed and feel deceived by pictures making small rooms look big. As a result even if the buyer may have liked the home otherwise, because they feel there was false advertising via the pictures they may not want to give that home any further thought. Comments as to the homes condition can also be valuable for homeowners to use to better prepare for future showings. If feedback talks about small rooms or small closets then that might be a suggestion for the seller to consider de-cluttering closets and/or rooms to make sure buyers can see how much space their actually is. Excess knick knacks, or putting everything into the closets in order to clean up are easily dealt with by putting stuff that is not immediately needed into storage until an offer is accepted on the home. Many homeowners who have been in their home for some time get use to the way things smells. Whether a homeowner has pets or some other conditions that is causing the smell to get out of hand and is mentioned by buyers, the homeowner need to address it. 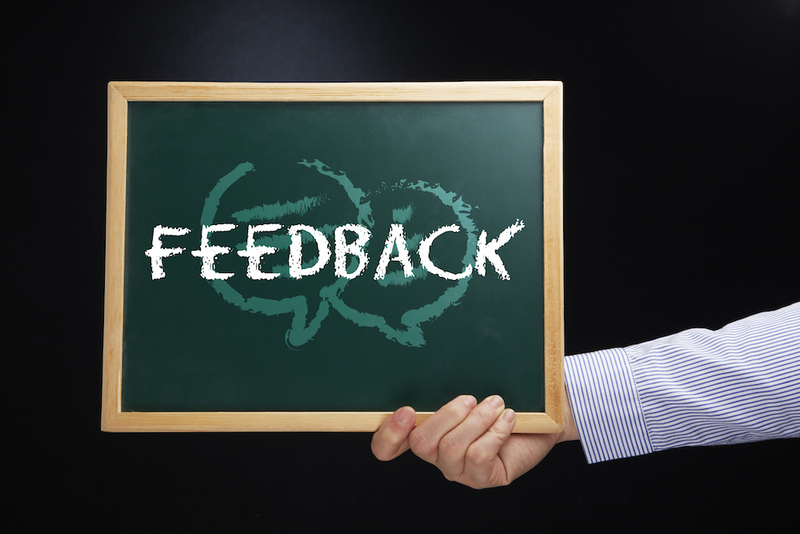 Buyer feedback may directly mention smells in the kitchen, pet smells, musty odors in the basement, and will even note overpowering scents that may have been used to try and cover up the smells. Homeowners should not try and cover up the smells but should try and get rid of them. For pet smells, carpet and furniture steam cleaning may be called for, or maybe even carpet replacement if the carpet smells are saturated in the carpet. Musty basements usually mean water problems and if serious enough covering up those problems could come back to bite the homeowner if the new buyer did not receive adequate disclosures about the water issues in the basement. Don’t cover up any smells, address the problem and get rid of the smells so future buyers don’t even detect a hint of any odors. 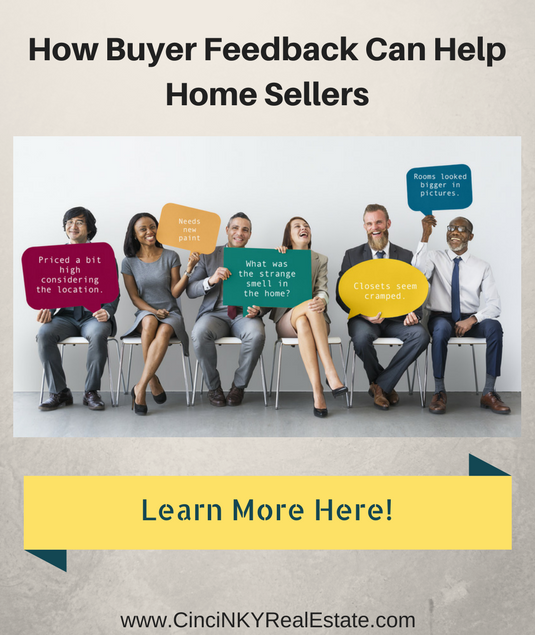 Buyer and buyer’s agent feedback is very important to consider by home sellers. The feedback conveys what actual buyers feel about the home and the price. Ignoring the feedback and proceeding without regards to how buyers actually view the home is destined to be a strategy that will not get the home sold. About the author: The above article “How Buyer Feedback Can Help Home Sellers” was provided by Luxury Real Estate Specialist Paul Sian. Paul can be reached at paul@CinciNKYRealEstate.com or by phone at 513-560-8002. If you’re thinking of selling or buying your investment or commercial business property I would love to share my marketing knowledge and expertise to help you. Contact me today!